The Kennebec County Democratic Committee hosted the event as a kickoff to the party's campaign to return to the Blaine House following the two terms of Gov. Paul LePage. AUGUSTA — Democratic candidates for governor agree that Maine should have better health care, a better economy, more broadband internet service and better opportunities for all Mainers. Six of the eight declared Democratic candidates for governor gathered on Thursday during a forum in Augusta to talk about their plans and goals for the state if they are elected to replace Gov. Paul LePage in a little more than 13 months. 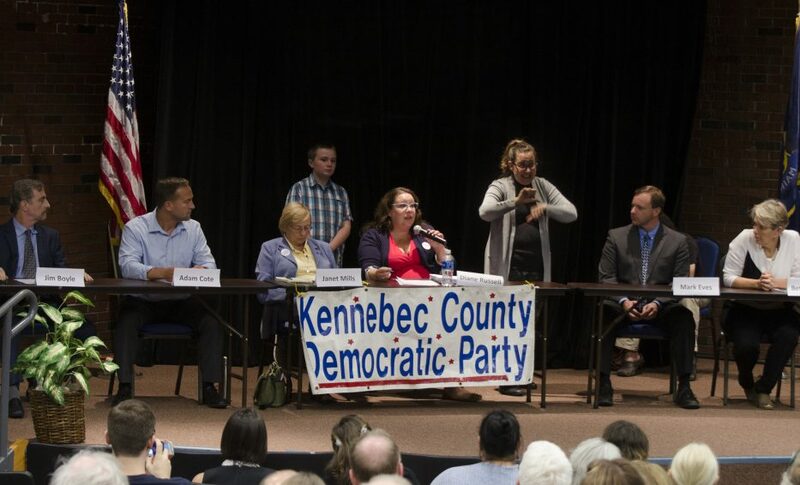 The 90-minute forum, moderated by Kennebec and Somerset counties District Attorney Maeghan Maloney, included Mark Eves, Adam Cote, James Boyle, Janet Mills, Betsy Sweet and Diane Russell. Patrick Eisenhardt and J. Martin Vachon were unable to attend. Mills, the Maine attorney general who has clashed publicly with LePage on a number of issues during her tenure, said she grew up taking on bullies and, as attorney general, has taken on the biggest bully the state of Maine has ever seen: LePage. Eves, 40, is a family therapist from North Berwick who spent eight years as a state representative, including a four-year stint as House speaker from 2012 to 2016. He said any one of the candidates would be a vast improvement over the current governor. People in Maine need help, and when people are in trouble, “you do not give up on them,” he said. Cote is a combat veteran of the Maine National Guard. The attorney and former Sanford school board member, 44, was recognized by President Barack Obama for his work on climate change and said Maine should have the best of everything. 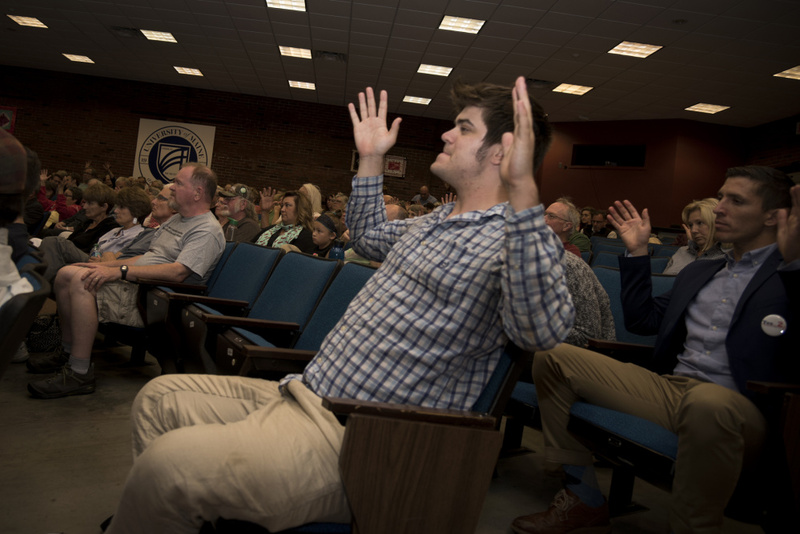 Throughout the forum, the candidates agreed with each other as they answered questions about clean energy, state government, health care and the opioid crisis and growing Maine’s population. The final question was about whom the candidates would support if they didn’t win, and they all agreed that no matter what, a Democrat must be elected governor in 2018. Sweet — celebrating her 61st birthday — joked that she was happy that everybody in the audience got a chance to meet her Cabinet. Mills said LePage hasn’t created a work-friendly environment for state workers, and one thing she proposed would be a child-care facility at the State House complex so working parents can spend more time with their children. Sweet said everybody needs raises and respect, and Boyle said he has a big problem with LePage disparaging state workers. “State workers are wonderful workers, and they work very hard at what they do,” Boyle said. On health care, everyone agrees that the costs of insurance and prescription drugs are too high. Russell, Sweet and Eves said they support a Medicare-for-All — or single payer — system like the one proposed recently by Vermont senator Bernie Sanders. Eves and Boyle want to use funding from Medicaid expansion — a referendum question in November all the candidates support — to help fight the opioid epidemic. Keeping people in Maine and attracting new people is important to all six candidates. Providing high-paying jobs, and not just in the southern part of the state, improving the infrastructure and education system and broadband are some of the ways the candidates said would help grow the state’s workforce. Sweet said a way to entice people to stay in Maine is allowing high school students the opportunity to provide one year of community service after high school in exchange for free tuition at any four-year college or university in Maine. If the person chooses to remain in the state, his or her education stays free; and if the person leaves, it becomes a zero-interest loan. Russell, a public relations consultant from Portland, served eight years in the Maine House until 2016. She grew up in a working-class family in western Maine and said you don’t have to be rich to make a difference. Boyle, an environmental consultant and former state senator from Gorham, said it’s important to him to rebuild and restore the rural economy of Maine. “I think the system in Augusta is rigged, and it’s rigged against the working people of Maine,” he said. Alicia Barnes, the forum’s organizer and the outgoing chairwoman of the Kennebec County Democratic Committee, said planning for the event began several months ago. The day after the Women’s March in January, she said, people started asking her who was running for governor and when the candidates would start campaigning. Barnes said it’s never too early to get candidates in front of voters, and the event was live-streamed on the committee’s Facebook page. 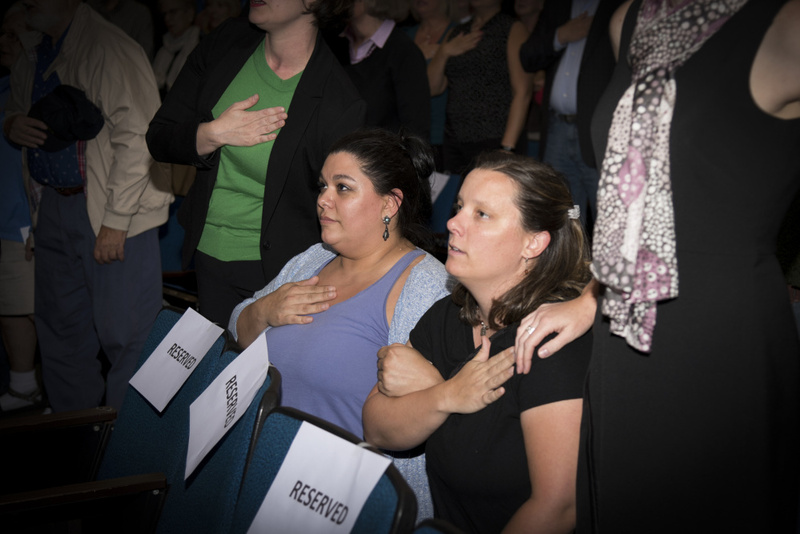 Eisenhardt, 75, a retired U.S. Coast Guard officer from Augusta, was unable to attend the forum, and Vachon didn’t respond to emails from the county committee. On the Republican side, Rep. Kenneth Fredette, of Newport; Garrett Mason, a state senator from Lisbon; and Mary Mayhew, the former commissioner of the Department of Health and Human Services, are vying for their party’s nomination. U.S. Sen. Susan Collins, R-Maine, said on a radio show Wednesday that she would decide soon whether she run for governor. Two candidates are fighting for a spot on the ballot representing the Green Party: former banker Jay Dresser, of Bangor; and Betsy Marsano, a retiree and former Family Crisis Center employee from Waldo. Terry Hayes, the Maine state treasurer, is running as an independent; and Richard Light, a social worker from Lewiston, is running as a Libertarian. The Democratic primary is June 12.